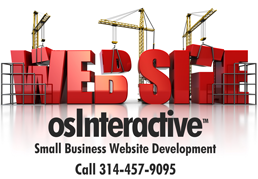 Below are web site hosting companies used by us, or recommended by web designers and industry professionals. These are considered by top web developers to be amongst the most reliable, quality oriented hosts available. Pair.com Outstanding host in almost every way. Reasonable cost, multiple domains under reseller account and dedicated IPs. Great value and service. Repeatedly a top pick amongst professional webmasters. HostGator.com Host Gator provides Shared, Reseller and Dedicated web hosting solutions. Their services are designed for both beginners and professionals. LiquidWeb.com Start a Blog with WordPress. Install a CMS solution with Drupal. Create a Forum with PHPBB. Start an E-Commerce store with OSCommerce. Great support for ecommerce. DowntownHost.com PHP Web Hosting - Multi Domain Hosting - Shared Web Hosting Provider , Multiple Domain Hosting, Blog Hosting, Reseller Hosting Provider With WHM Cpanel. KNet Hosting (UK) Connected to a superfast multi-gigabit backbone. Office and our staff are all located in the UK. Reseller hosting available.